CBSE has declared JEE Main 2018 results for paper 1. JEE Mains one of India’s largest exam (with more than 15 lakh student) has conducted the Pen and Paper Based exam on April 8, 2018, and it is one of the most crucial exams for students willing to peruse their future in the field of Technology. As the conducting Body, CBSE has declared JEE Main 2018 result online on its official website on April 30. And as now JEE Mains has released the results a lot of things going on with students as JEE Mains is the main path via which one will get elected to seat in the JEE Advance paper. They are getting ready for the JEE Advance exam. In between all the crucial Coaching Institutes have started there counting that what was the success rate. We have given all the details below so that one can check it properly. This Year 2,24,000 top candidates of JEE Main 2018 have qualified for appearing in JEE Advanced 2018. Last year the number was only top 2,20,000 candidates. 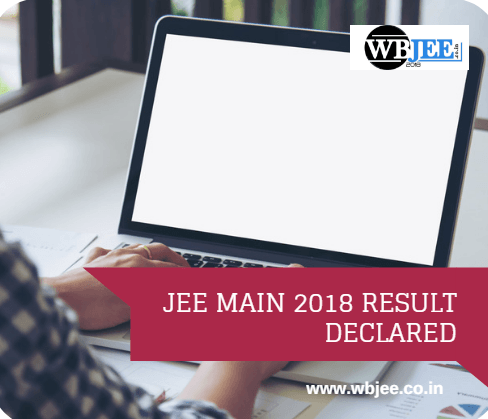 What JEE Main 2018 Result Have? You can now see your JEE Main score, All India Rank and category rank, cutoff marks, and qualifying status for JEE Advanced 2018. Your JEE Main scorecard is also available for downloading with the result. Click on the download button and get access to your JEE Main scorecard 2018.